Onmar is a spin-off from Southco Marine where a team of people which carries the experience and passion from Mobella has taken over the sales, distribution and marketing in order to continue to develop the quality and enhance the value-added experience for our marine customers and end users. 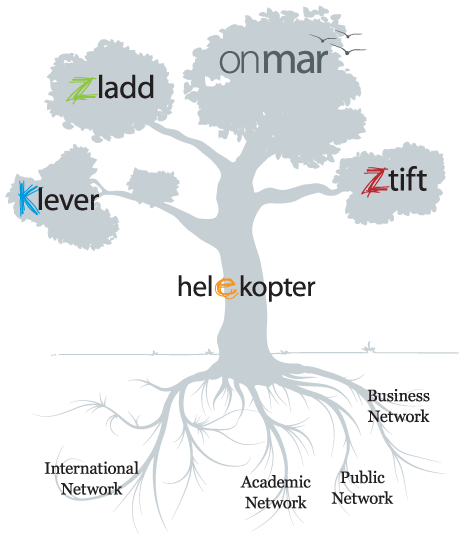 Ztift is a company focused on product innovation, industrial design and product development. With extensive international experience and global recognition we know the essential aspects for creating sustainable results. Zladd has a B2C trendsetting product portfolio, aiming on strengthening the consumer’s personality. A great portion of our marketing is made through social media. Klever is a sales company with highly motivated and trained sales engineers. We connect international suppliers/producers with customers in the Nordic region.